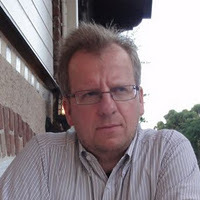 I am an associate professor (Polish: profesor nadzwyczajny) at the Linguistic Engineering Group (LEG) at the Institute of Computer Science, Polish Academy of Sciences (ICS PAS), and an associate professor at the Cognitive Studies at the Institute of Philosophy of the University of Warsaw. a very concise (and aesthetically dull) version of my Curriculum Vitae. syntax and semantics in LFG and HPSG. machine learning methods in NLP.